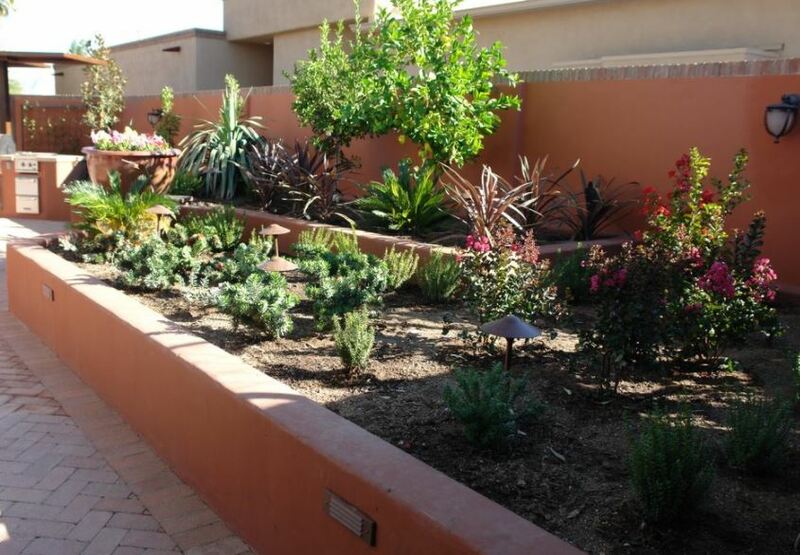 ​We are experts at designing landscapes in Arizona! Whether your looking for a desert or hardscape look or a lush green landscape look, we have the experience and team to convert your yard into a reality! Trust your yard with the experts! We offer the most affordable, honest and professional landscaping services in the Arizona east valley! ​Did you just move into a new home in Arizona? Is your home currently being built? Or maybe the home you have now is missing a decently designed yard or doesn't even have one at all! Whatever the case, we specialize in designing landscapes from scratch to meet your expectations! ​So whats are the steps to having my landscape designed? 3. We discuss the material and plants that will be required and will give you a fairly accurate quote on-site. 6. When the project is done, we will have you sign off on it and you can sit back and enjoy your own personal paradise! It's that simple! So give us call or request an estimate online today! 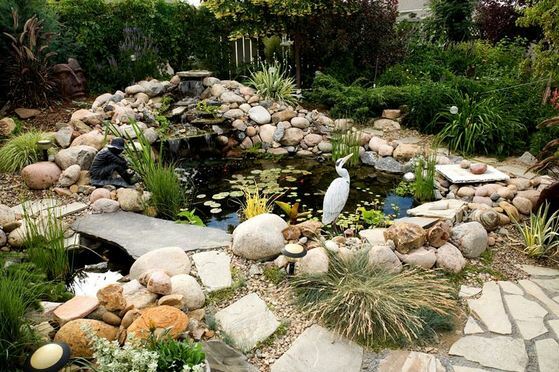 ​Do you have an existing yard or landscaped area that is in desperate need of help? Your not alone! We are Arizona's best landscape experts when it comes to Landscaping Remodeling, Renovation and Demolition. If your existing landscapes yard or property needs a complete overhaul, this usually first involves demolition! Demolition is where we will completely excavate and remove the current landscape design to prepare it for the incoming new design. When we clear out your old landscape, we do it quick and easy while making sure we have your approval on everything that needs to go! Yes we know how to mold and shape rock and hardscapes like no one else. With over 30 years of landscaping experience, you can rest assured we will get the project done the right way every time! When it comes to rock work this normally involves rock landscapes, pavers, floors, walkways, you name it! If your wanting to avoid having a grass lawn (which is a good idea in the Arizona heat) we offer a huge selection of rockscape designs and colors to choose from. 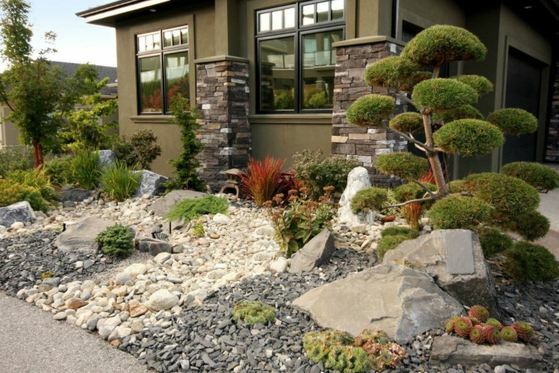 You will be able to completely customize your landscape with rocks of any size from super small to large. We cater all our rockscape designs to what your envisioning! ​I know what your thinking...a garden in Arizona? How can that be! Well it's much easier than you think. With the proper preparation and design of your landscaping and designated garden area, we can properly prepare the soil in where you plan on having the garden and in addition to the garden we can offer the proper shade designs or structures to keep your plants cool and from getting burnt over the hot summer months! Having a garden in Arizona is completely doable!! To have us start your gardening landscape design or help in Arizona valley, please give us a call or request a free on site estimate! Do you have a sprinkler or drip system that is in need of desperate maintenance, service or repair? Your concerns stop with us! We know all the ins and outs of landscape irrigation systems, design, maintenance and installations. 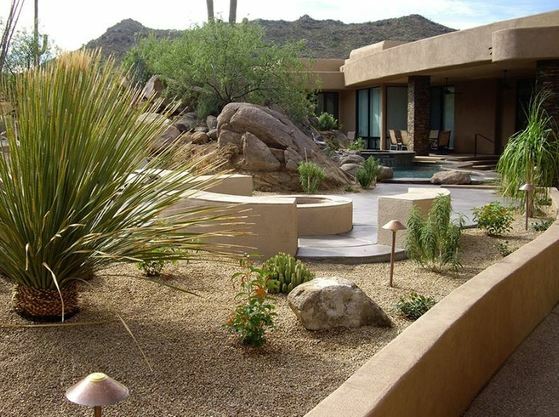 If you have a current sprinkler system in Arizona that is in need of repair or if you have a broken sprinkler or leaking drip line, please give Red Mountain Landscaping a call. We will promptly assist you in repairing and leaks or damages sprinklers and get your water systems back to normal! If you need a completely new sprinkler or drip system (whether is a new installation or removing the current system) we are your go to experts! 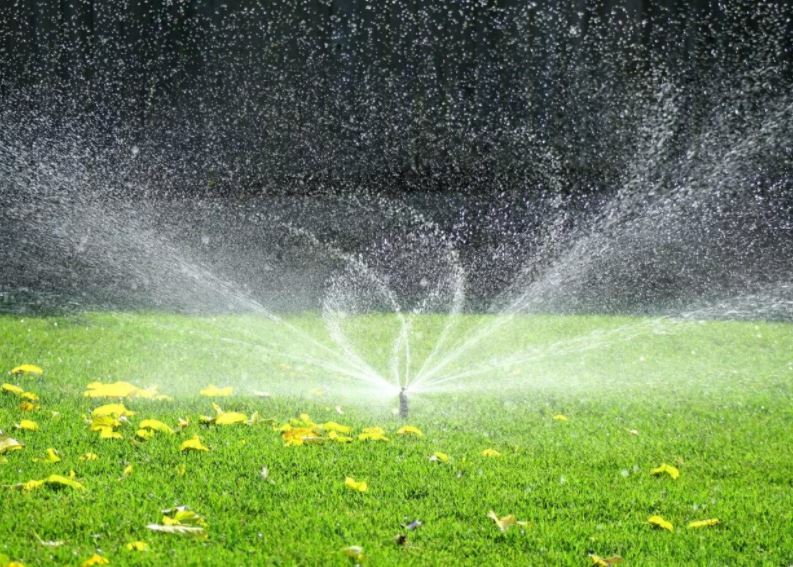 We will go through all your plants and lawn types and determine the appropriate sprinkler types as well as drips. Water allocation is extremely important here in Arizona - too much water can kill your plants or lawns while to little will do the same. Trust us as your irrigation, sprinkler and drip system experts! Request a free estimate or call us today! Nothing is wrong with having a lawn the never needs to be watered or cut and stays green all year round! 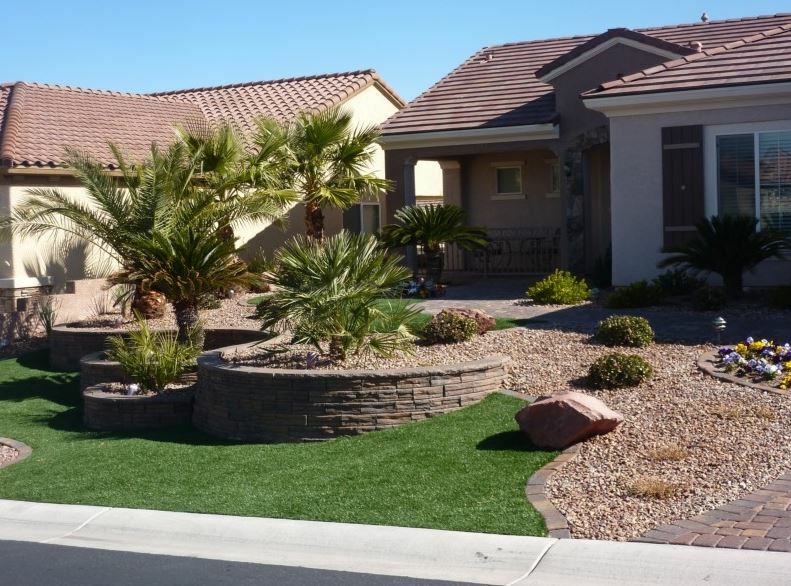 Artificial Lawns, Turf or a common term 'Fake Grass' is an excellent choice for your landscape design in Arizona. Not only will it cut down all your maintenance costs it will save a ton of money on water and stay beautiful always. 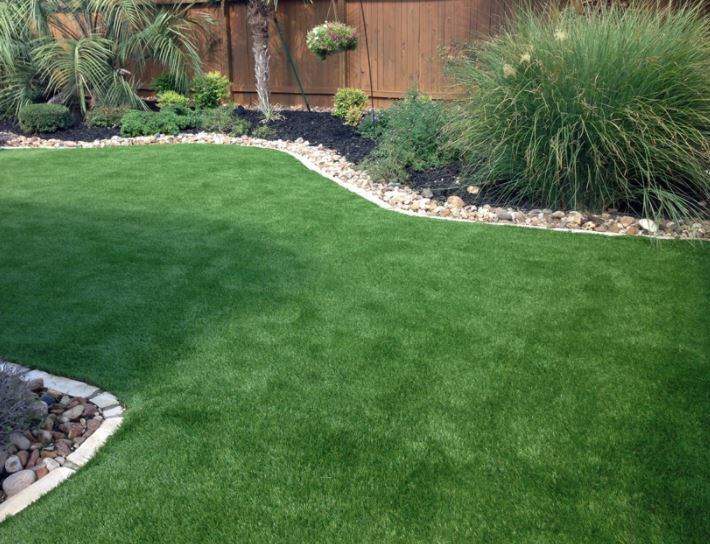 We offer a huge selection of artificial grass and it can be shaped and cut to fit any landscape design project. So if you need fake grass in Arizona, we are your go to source. Give us a call or request a free on-site estimate! One of our favorite things to add in any landscape design project is a water feature. These are basically the icing on the cake when it comes to a spectacular landscape design and finished product! Water features in Arizona offer the home owner a little taste of paradise (i mean c'mon we are in the dessert!) 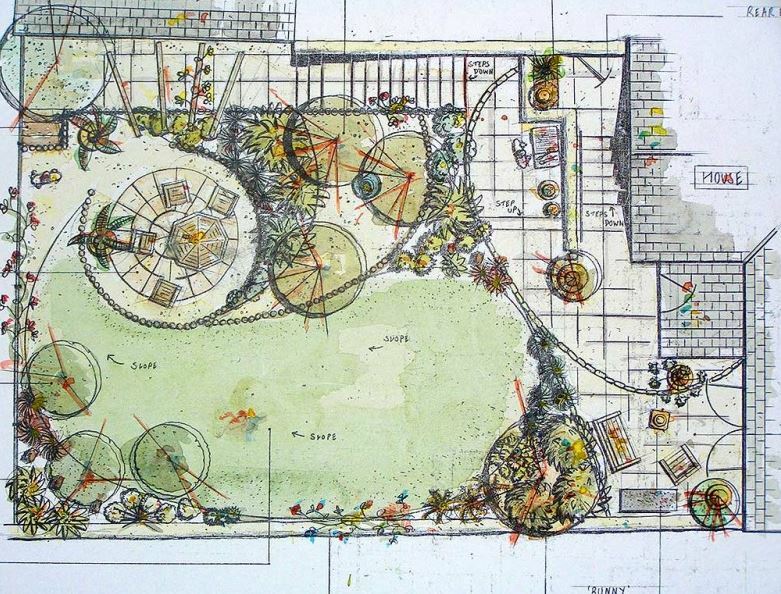 and with that makes the landscape design really pop while offering a focal point in the designed project. The benefits of water features in Arizona are awesome as well. They promote relaxation and a bliss sound of water. They also conserve water as it recycles the water usually through a pump to repeat the cycle of water flowing. There are many water feature pieces you can choose from whether its a waterfalls, streams, ponds you name it. Whatever water feature your imagining, we can create it and make it look beautiful by matching the surrounding landscape designs. Give us a call or request a free on-site estimate today!